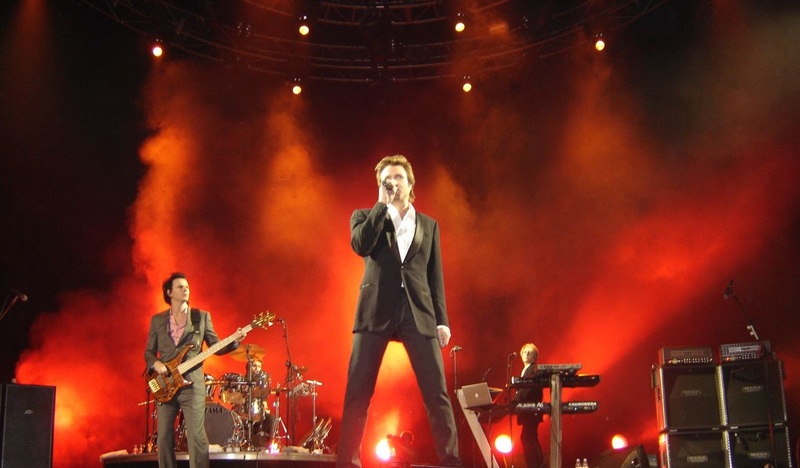 Duran Duran () are an English new wave and synthpop band formed in Birmingham in 1978. The band grew from alternative sensations in 1982 to mainstream pop stars by 1984. By the end of the decade, membership and music style changes challenged the band before a resurgence in the early 1990s. The group were a leading band in the MTV-driven "Second British Invasion" of the US. The band achieved 14 singles in the top 10 of the UK Singles Chart and 21 in the Billboard Hot 100, and have sold over 100 million records worldwide. When the band first emerged, they were generally considered part of the New Romantic scene, along with bands such as Spandau Ballet. Duran Duran however would soon shed this image, by using fashion and marketing to build a more refined and elegant presentation. The band has won a number of awards throughout their career: two Brit Awards including the 2004 award for Outstanding Contribution to Music, two Grammy Awards, an MTV Video Music Award for Lifetime Achievement, and a Video Visionary Award from the MTV Europe Music Awards. They were also awarded a star on the Hollywood Walk of Fame. The video age catapulted Duran Duran into the mainstream with the introduction of the 24-hour music channel MTV. Many of their videos were shot on 35 mm film, which gave a much more polished look than was standard at the time. They also collaborated with professional film directors to take the quality a step further, often teaming up with Australian director Russell Mulcahy for some of their most memorable video offerings. In 1984, the band were early innovators with video technology in their live stadium shows. The group was formed by keyboardist Nick Rhodes and bass guitarist John Taylor, with the later addition of drummer Roger Taylor, and after numerous personnel changes, guitarist Andy Taylor and lead singer Simon Le Bon. These five members featured the most commercially successful line-up. The group has never disbanded, but after separation of Andy and Roger Taylor in 1986, the line-up has changed to include former Missing Persons American guitarist Warren Cuccurullo from 1989 to 2001 and American drummer Sterling Campbell from 1989 to 1991. The reunion of the original five members in the early 2000s created a stir among the band’s fans and music media. Andy Taylor left the band once again in mid-2006, and guitarist Dom Brown has since been working with the band as a session player and touring member.